Hypnosis is an altered state of consciousness known to enhance capacity for response to suggestion. It is used for a wide range of therapeutic purposes, including the reduction of pain, healing, treatment of addictions, weight loss, and a way to facilitate relaxation. Here is an exposition of five different methods to induce hypnosis, be it for entertainment or therapeutic purposes: a description of Dr Cocke's method, another of Dr Flint's method; the French method at Paris and Nancy, and the Hindoo Silent method; lastly, a much-needed method to wake a subject from hypnotic sleep. 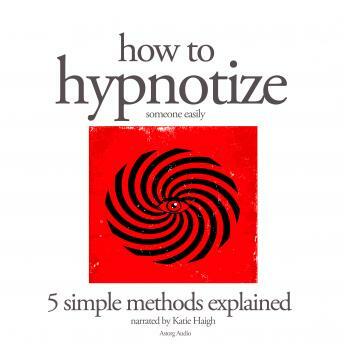 This audiobook is intended for practitioners, listeners who want to deepen their understanding of the methods of hypnosis, and individuals interested in autohypnosis.